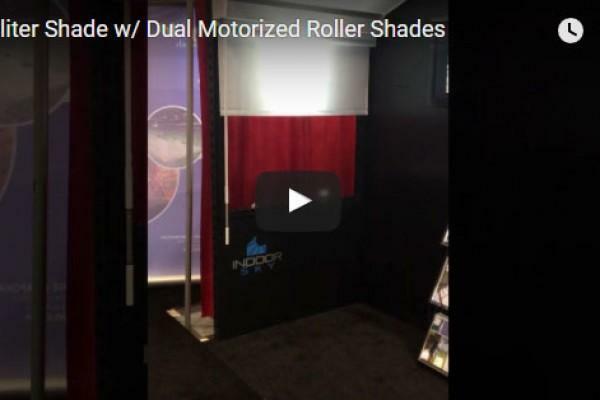 Our Dayliter and Skyliter Shading Systems are the only window treatements available that fulfill the dual roles of daylighting and shading. 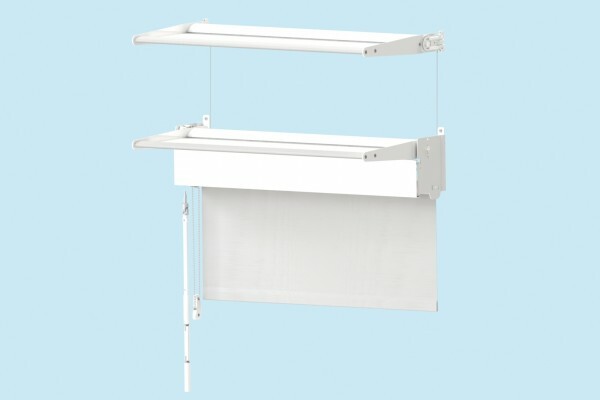 Through the cross-pollination of lightshelves and roller shades we have created an extremely versatile system that lends itself to almost any interior configuration. 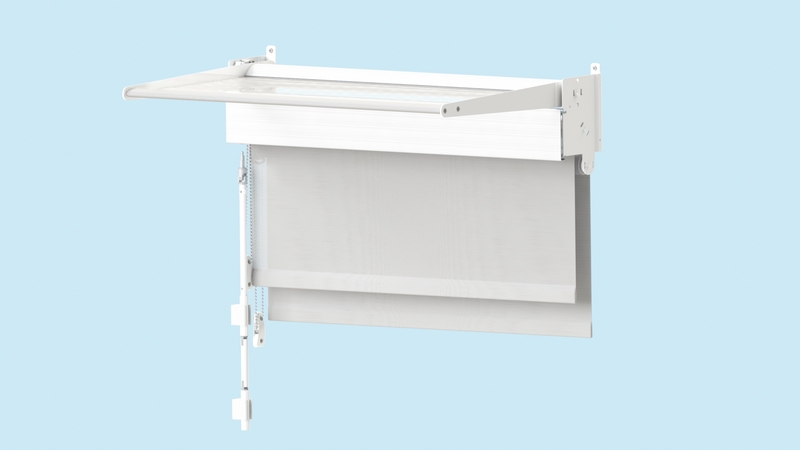 A single operable lightshelf that may be configured to suit either the clerestory dimensions or the height of the window head. 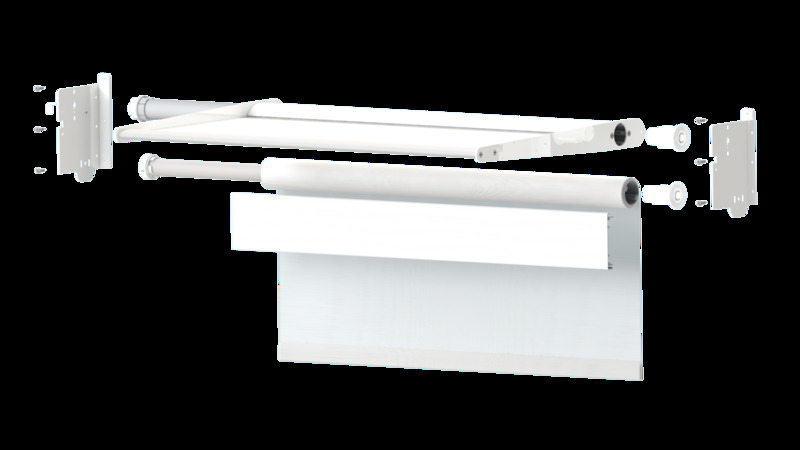 Depths from 10 inches to 22 inches with larger sizes possible (consult factory) and widths up to 96 inches. 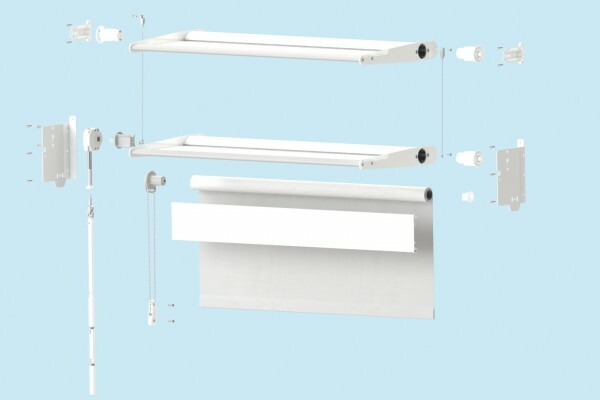 Lightshelves may be closed for full daylight control. 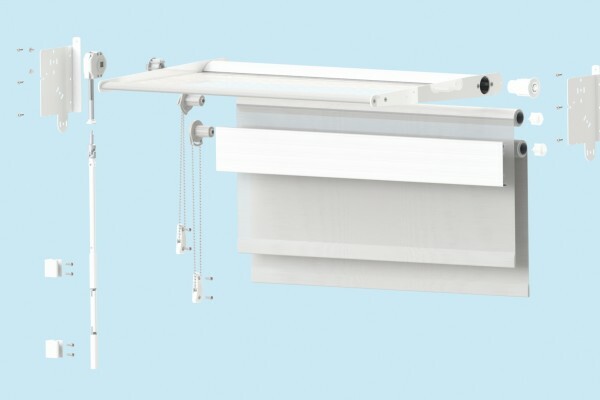 A single operable lightshelf configured as above (S Series) but with a worm drive operated by a removable folding crank. 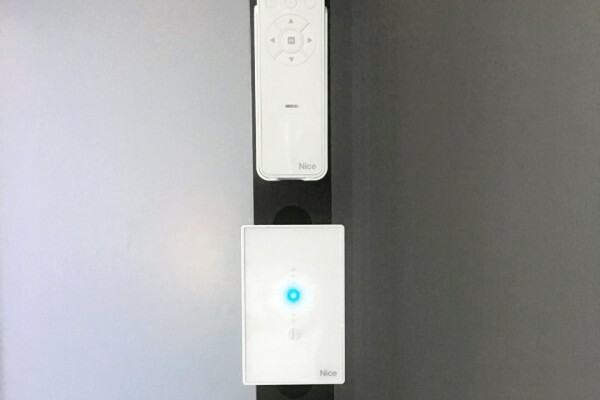 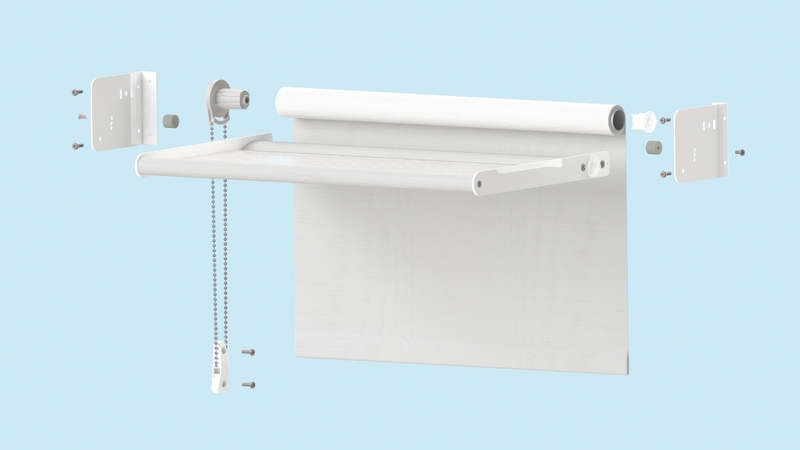 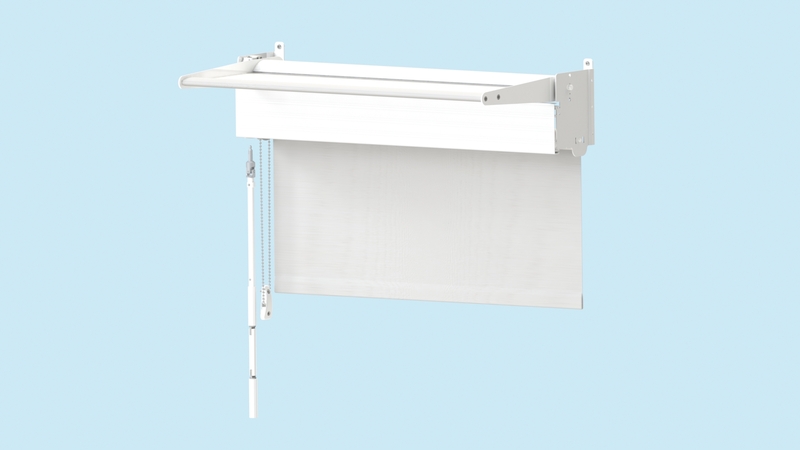 The lightshelf may be “parked” at any angle for full daylight control. 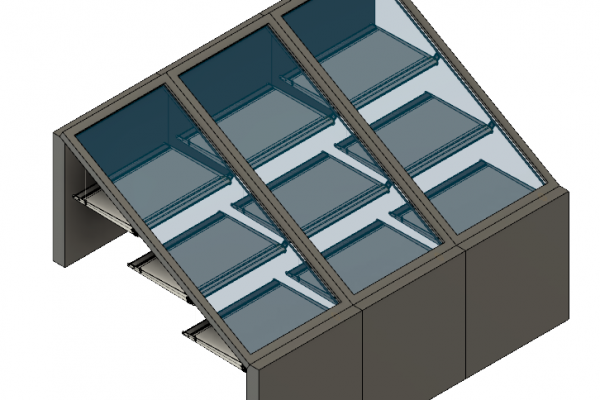 Multiple lightshelves (stack) designed for tall windows, large clerestories or simply to add a stunning design feature. 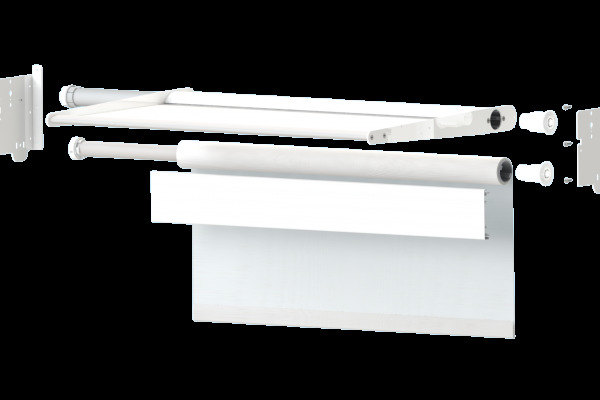 Depths from 10 inches to 16 inches with larger sizes possible (consult factory) and widths up to 72 inches. 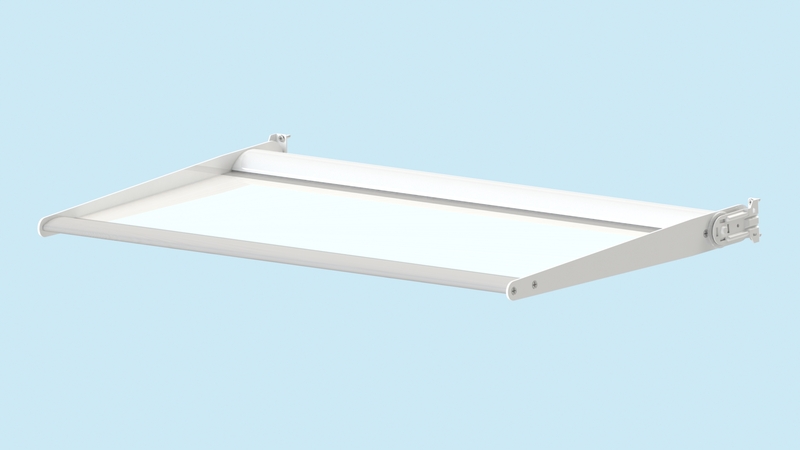 Lightshelves may be operated individually or in unison. 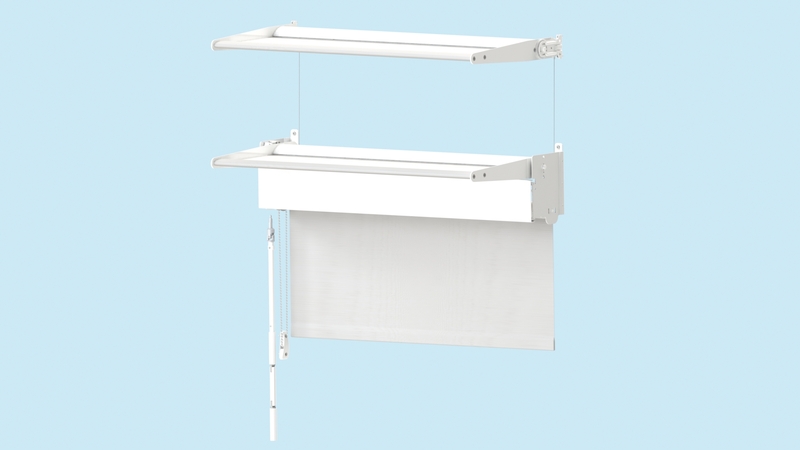 Dual roller shades allow for both room darkening and solar shading with views. 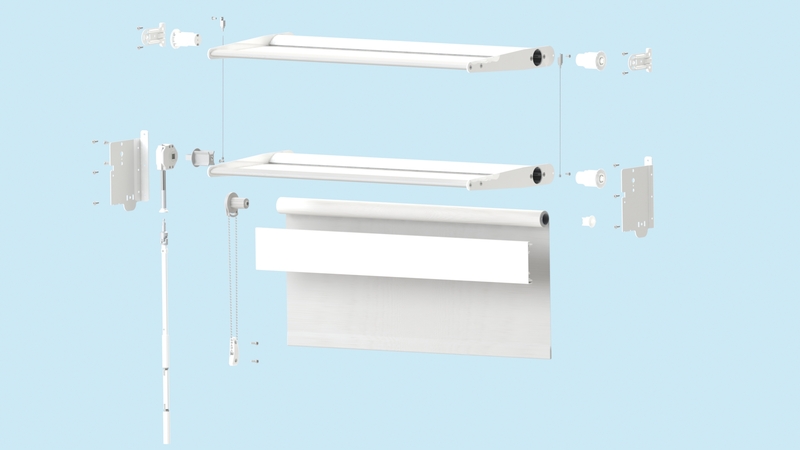 Room darkening is particularly important for healthcare applications where daytime patient recovery is crucial. 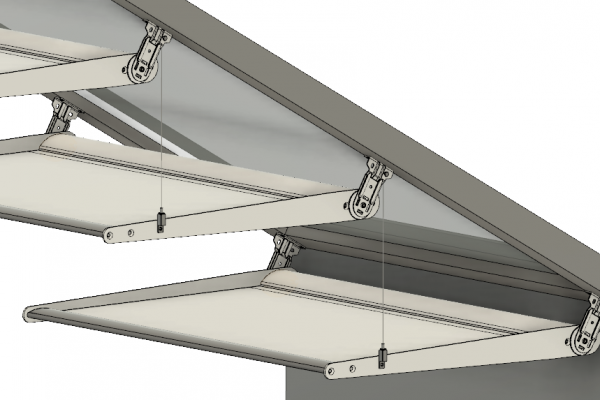 The same feature allows for nighttime security - preventing individuals outside from seeing into the space. 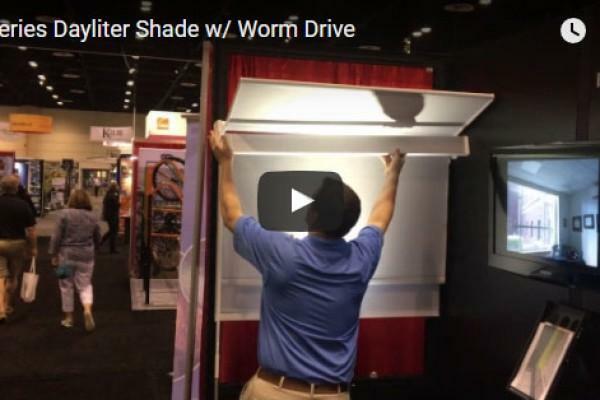 All of the above shade configurations are available partially or fully motorized. 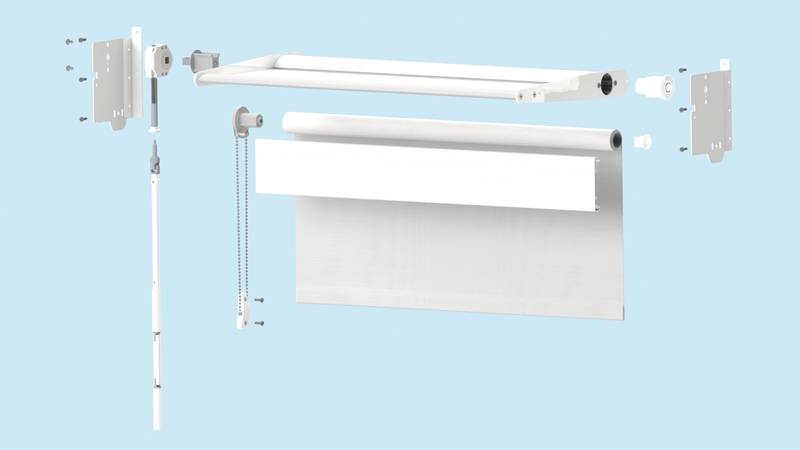 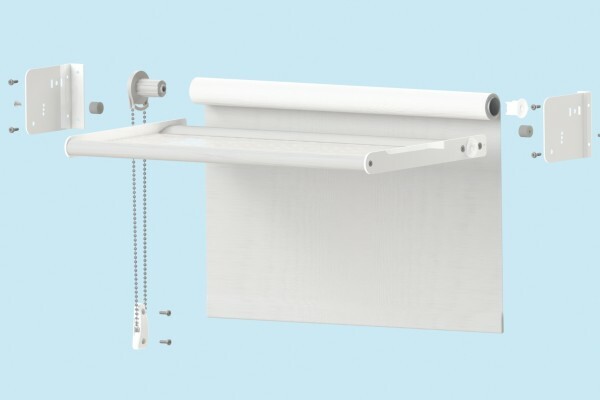 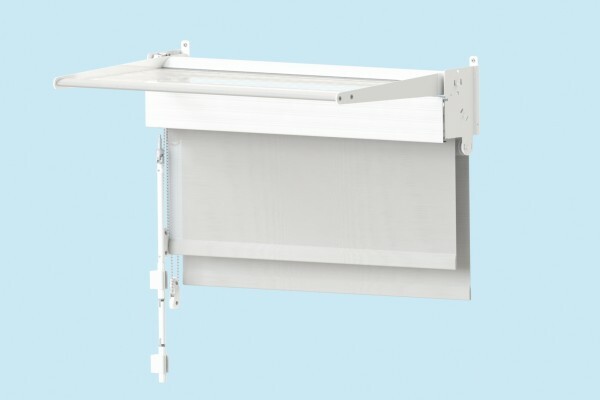 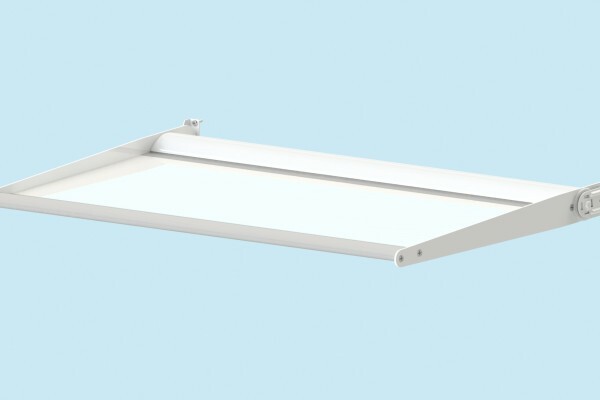 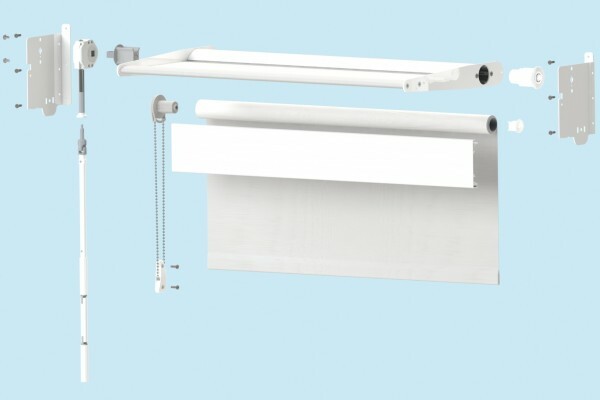 The lightshelf element is driven by a low-voltage DC motor which is matched in the roller shade for full synchronization. 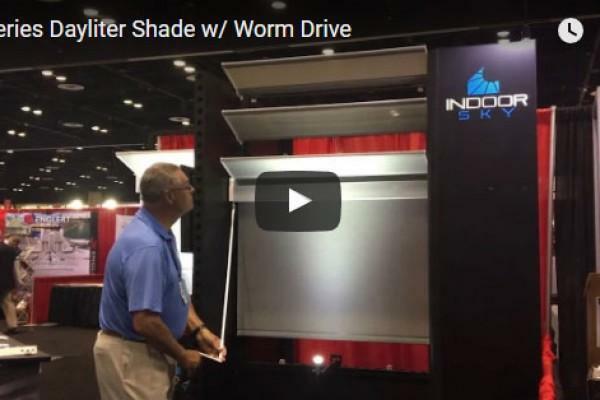 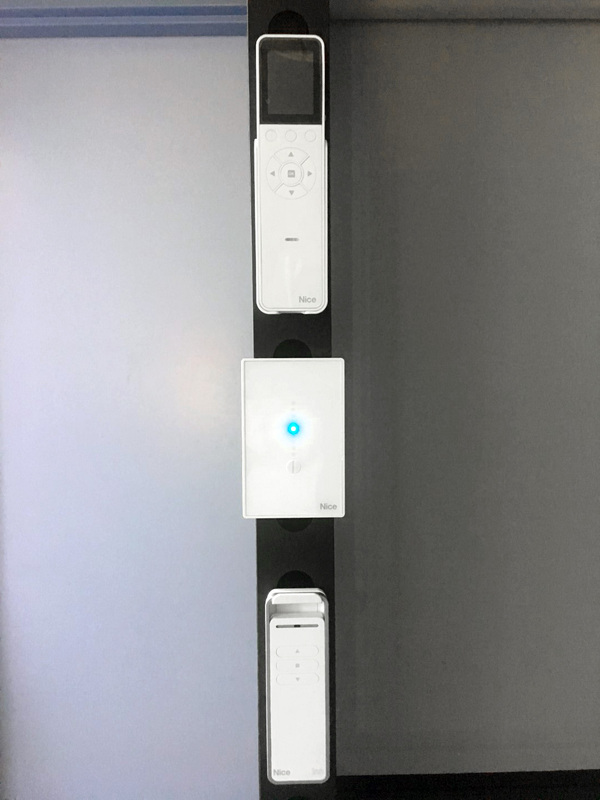 This allows the Dayliter Shade to be incorporated into any Building Automation System or to have numerous individual control options including Smart phone apps. 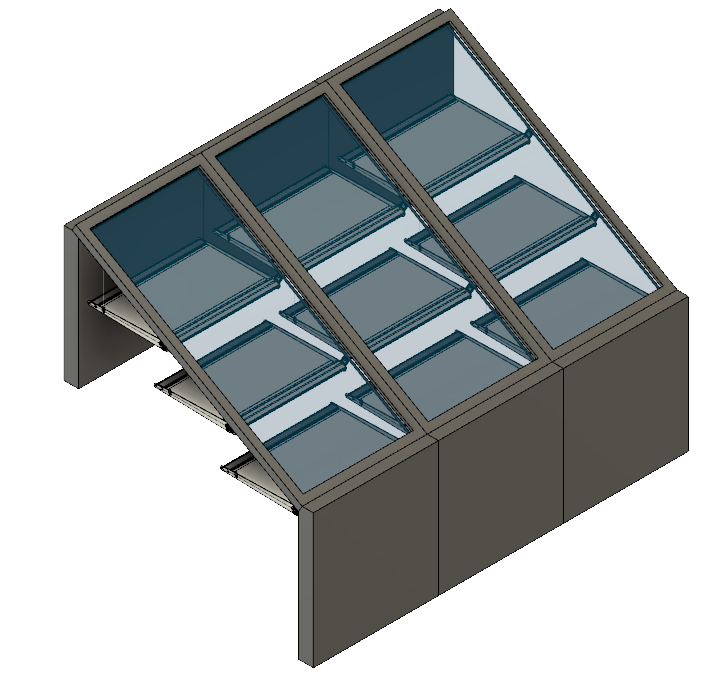 For spaces with exceptionally high ceilings, such as lobbies, the lightshelves may not need to be operable and can therefore be engineered for larger individual sizes. 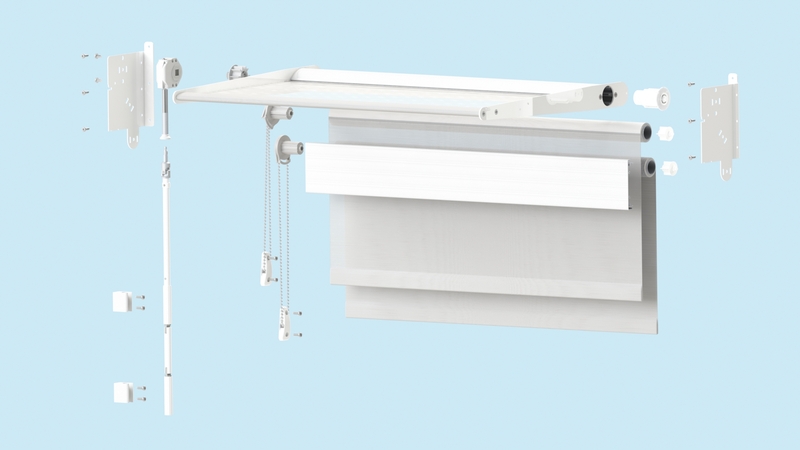 Designed for large expanses of exposed sloping glass the Skyliter System features independent operable light shelves and/or ceiling panels. 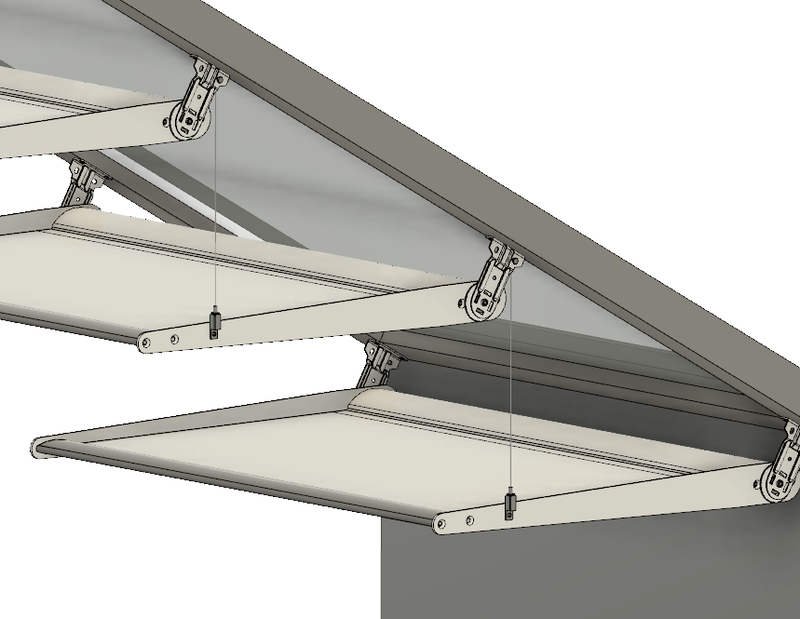 Daylight is bounced between the lightshelves, even as the space is shaded, to prevent major heat gain. 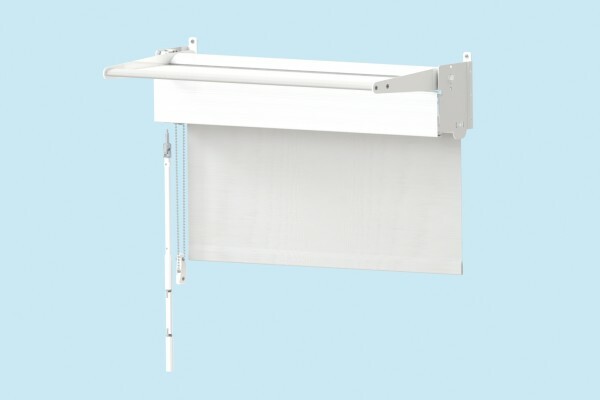 Also available for simple skylight solar management.